Welcome to the MK Film Network's Events Page! MKFN organises monthly networking events for filmmakers, actors and anyone who loves to be involved in making films. We normally run these on the second Tuesday of each month. From time to time we also organise film screenings, film competitions, workshops etc. PLEASE NOTE: We have a Change of venue this month ! 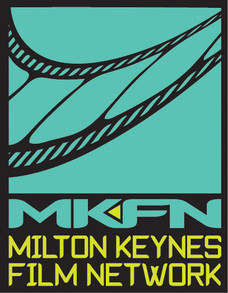 ​Monthly filmmakers networking brought to you by the Milton Keynes Filmmakers Network. We meet monthly to talk about new local film projects, current productions and filmmaker news and opportunities. We welcome anyone interested in making films from professionals to first timers. Actors, directors, producers, music composers, sound recordists, DoP's, runners, writers and anyone who simply wants to help make a film. We also have occasional film screenings so come along to hear about future screening opportunities. Venue: UPSTAIRS at the Brewhouse & Kitchen (behind the MK Theatre). See address below. 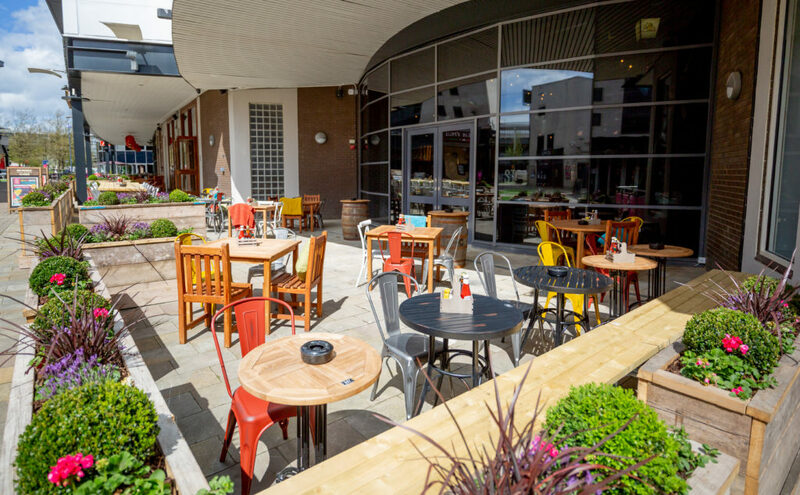 Brewhouse & Kitchen, 7 SAVOY CRESCENT, MILTON KEYNES, MK9 3PU - we meet in the upstairs area. 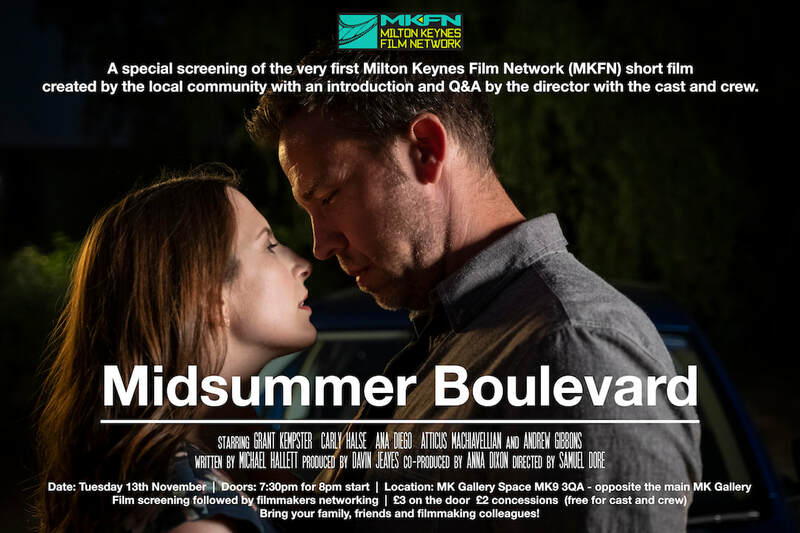 In November we screened the very first MKFN short film 'Midsummer Boulevard' at our monthly networking event. followed by a Q&A with Lee Scriven at the ODEON Milton Keynes. In the film, Lee and a host of early residents, provide a fascinating insight on life in the new city of Milton Keynes during the 1970s. The film's soundtrack features city based artists and bands. I Must Adjust originally premiered in January 2017 as part of MK50 birthday celebrations. This is a special opportunity for filmmakers from the area to see the film and meet the director. After the screenings there will be an opportunity to network with the filmmakers in the Odeon Gallery bar. 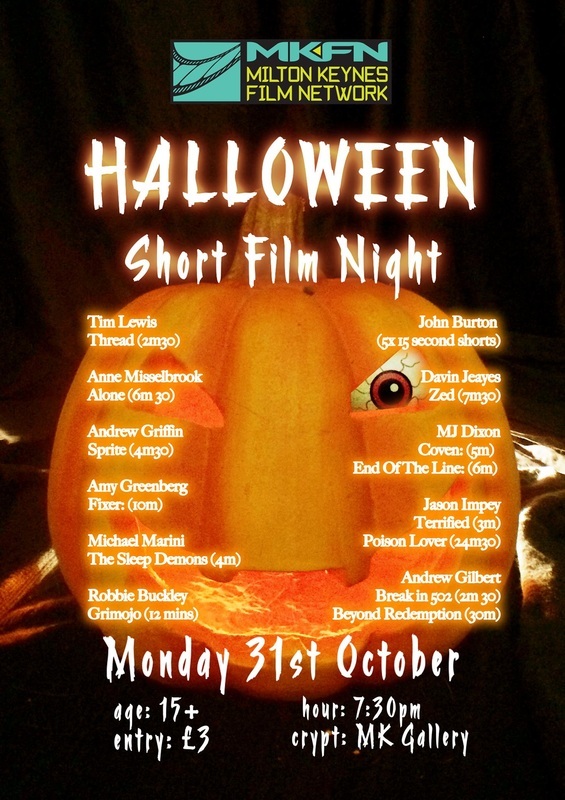 This event is presented in association with filmmaker Lee Scriven and The Odeon Cinema. All money raised from this event goes to mental health charity MIND. MKFN Networking is back on Tuesday 11th APRIL. 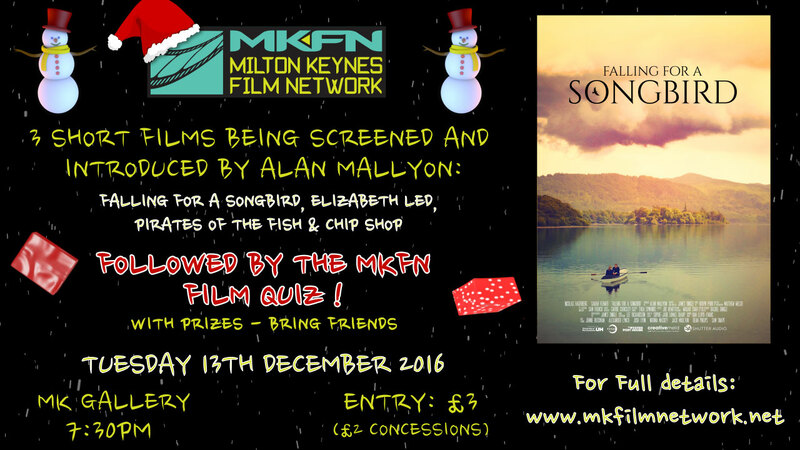 We continue 2017 by welcoming all filmmakers from across Milton Keynes and the surrounding areas to come along for our filmmakers networking evening. ​As well as the regular filmmakers networking, this month we also want to announce a new script competition that will feed into a 48 Hour Film Challenge in summer 2017. This is a really exciting project which we hope will shine a light on local scriptwriting talent as well as the teams who make the films. 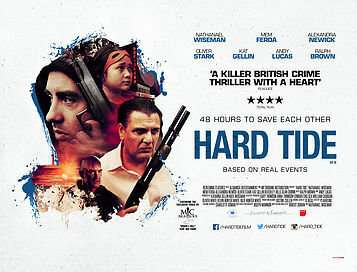 We'll also give details on a very SPECIAL SCREENING event on 7th May - at the ODEON cinema. 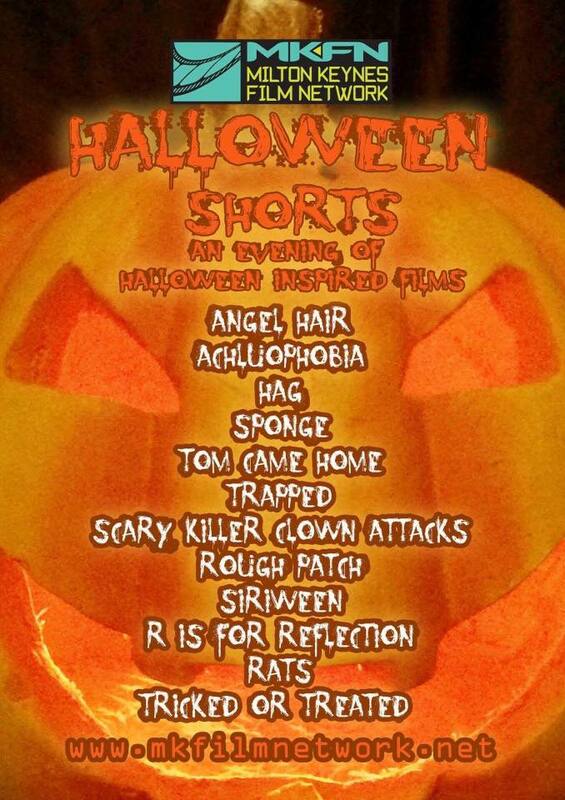 As well as screening a great film by LEE SCRIVEN (details soon) we'll also have time to screen a couple of short films on the BIG Screen. Come along to this networking event to find out how to enter your film for selection ! We welcome anyone interested in making films, music videos, documentaries, experimental etc. If you are working on a script, are an actor seeking filmmaking possibilities or have a film planned or in pre-production, come along and meet like minded others. The evening is open to actors, writers, producers, directors, editors, production crew, professionals or people who have no experience but would love to get involved and meet others for possible collaborations. This month we had a special screening of the forthcoming feature film 'Hollower', followed by Q&A with the director MJ Dixon from Mycho. So come along and watch one of the latest feature films to be produced in Milton Keynes and get a chance to find out how the film was made from the Director himself. ​This will be followed by the usual networking and collaboration potential with other members. The evening is open to actors, writers, producers, directors, editors, production crew, professionals or anyone who loves films and wants to find out more. MKFN Networking is back on Tuesday 12th April. This month we will be welcoming all filmmakers from across Milton Keynes and the surrounding areas to come along for our filmmakers networking evening. We are also inviting anyone who has a film in progress to bring it along to screen to the group for feedback and constructive criticism. We will also be announcing a new 48 Hour Film Challenge we are running as part of the International Festival in MK this summer. This will be followed by the usual networking and collaboration potential with other members. MKFN Networking welcomed a very special guest, MJ Dixon from Mycho for his 'The Mycho MicroBudget Massacre MasterClass 2016'. The creators of such indie horror hits as Slasher House, Legacy of Thorn and Cleaver : Killer Clown took us on an epic and splatter filled journey through the process of making Fearsome Feature Films on 'No Money'. We discussed The Terrors of Writing and Pre Production! The Dread of working on a Film Set! The Horrors of Post Production and Distribution! In a show not for the faint of heart. The Mycho team took us through the whole filmmaking process from Bloody Beginnings to its Eerie End and looked at how they produce their own brand of low budget horror releases that you can apply to making your very own MicroBudget Masterpiece. WARNING! SHOW CONTAINED SCENES OF VIOLENCE, BAD LANGUAGE AND EARLY 'UNSEEN' SHORT FILMS UNFIT FOR HUMAN CONSUMPTION! There was also networking with other MKFN members. MKFN Networking is back on Tuesday 9th February. This month we will be showing a variety of video clips covering different aspects of filmmaking, such as acting, directing and editing, all featuring professionals from the industry. There will also be an opportunity to network and meet other MKFN members. We will have an open forum where people can introduce themselves and ask the group for collaborations - directors seeking writers/actors seeking films. So if you have a project you want making or are seeking a project to get involved with, please bring along your requests/info for cast and crew or use the platform to advertise your skills and projects. We will be holding this event at the Gallery 'space' which is opposite the MK Gallery in the Theatre District, see the map below. MKFN Networking kicks off 2016 in January and welcomes all filmmakers to our monthly networking event. This month we will be discussing new and up and coming projects for the year ahead. If you are working on new film projects in 2016 and looking for collaborators, or wish to run some ideas for projects by the group for feedback this is a great opportunity to do so. At our slightly earlier networking event this month we welcome a very special guest to the Film Network. BAFTA winning director Peter Nicholson (his site here) joins us to talk about his career in television drama and documentary, leading to his debut feature film "Dartmoor Killing" which was released this year. As well as discussing his transition from television drama to independent feature film, he will also discuss important aspects of film finance and distribution that he has discovered on his journey - a must for every filmmaker ! The evening will be an open discussion with Peter alongside some screenings of his work. ​His new feature "Dartmoor Killing" is also screening at the MK Gallery this Friday (for tickets see here). After Peter's talk we will update you all on the Milton Keynes 48 Hour Film Challenge which will be open for registration. We will be holding this event at the MK Gallery in the Theatre District, see the map below. 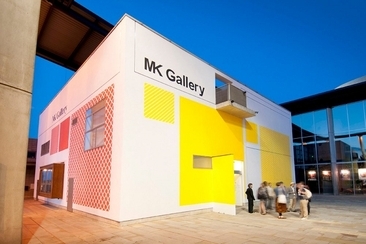 The venue is opposite the MK Gallery. 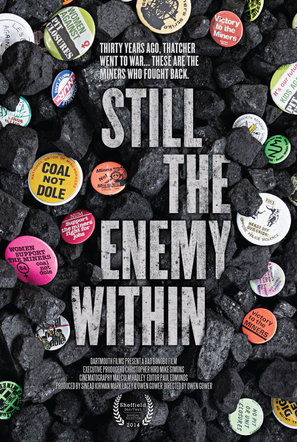 Tickets for this fantastic event are £3/£2 concessions (pay at the door) Note that this event is FREE for those who attended the screening of "Dartmoor Killing" on the Friday before (link here). The evening starts at 7:30pm. Refreshments will be served. This month we will be be announcing more details of the first Milton Keynes 48 Hour Film Challenge. We will be giving details on how to find a team and register for this exciting challenge along with dates for your diary. There will be a screening of all the films made along with prizes for the best films ! We will also be announcing an update on the work we have been doing with Milton Keynes Council and the MK Gallery to help filmmakers film in the city and organise screenings. Aft﻿er the announcement there will be an opportunity to network and meet other MKFN members. We will have an open forum where people can introduce themselves and ask the group for collaborations - directors seeking writers/actors seeking films. So if you have a project you want making or are seeking a project to get involved with, please bring along your requests/info for cast and crew or use the platform to advertise your skills and projects. Tickets for this fantastic event are £3/£2 concessions (pay at the door). This month we will be be announcing details of the first Milton Keynes 48 Hour Film Challenge. We will be giving details on how to get involved and some of the rules. We will also be announcing a couple of other forthcoming events and activities. The evening starts at 6:00pm. Refreshments will be served. This month we will be kicking off a fun project to create short videos to promote the MKFN Networking meet ups. We will be looking for actors, and filmmakers to look to form groups to take on this fun challenge with a view to viewing all the videos created by the groups at the event in July. So if you fancy getting involved as writer, director, actor or other member of the crew come along and become part of a team. Aft﻿er the presentation there will be an opportunity to network and meet other MKFN members. We will have an open forum where people can introduce themselves and ask the group for collaborations - directors seeking writers/actors seeking films. So if you have a project you want making or are seeking a project to get involved with, please bring along your requests/info for cast and crew or use the platform to advertise your skills and projects. We will be holding this event in the Upstairs room at the Slug & Lettuce in the Theatre District, see the map below. Our monthly networking event returns a little later this month and we will be sharing a selection of free online filmmaker resources and information that everyone can access and use. After the presentation there will be an opportunity to network and meet other MKFN members. We will have an open forum where people can introduce themselves and ask the group for collaborations - directors seeking writers/actors seeking films. So if you have a project you want making or are seeking a project to get involved with, please bring along your requests/info for cast and crew or use the platform to advertise your skills and projects. This month we will be screening a couple of shorts filmed with the GoPro camera to inspire use of this fantastic and cheap little camera. After the screening there will be an opportunity to network and meet other MKFN members. We will have an open forum where people can introduce themselves and ask the group for collaborations - directors seeking writers/actors seeking films. So if you have a project you want making or are seeking a project to get involved with, please bring along your requests/info for cast and crew or use the platform to advertise your skills and projects. This months event includes a special film screening, followed by Q&A with the Producer & MKFN Networking. Mark Lacey has worked on a number of Bafta and Oscar nominated shorts and feature films as well as high end corporate films as a Production Manager and Assistant Director. He recently had the pleasure of working as lead 3rd Assistant Director on Tim Burton’s animated feature Frankenweenie. Through these, he has gained valuable contacts throughout the industry and the skills needed to drive a project forward. He brings a wealth of experience in budgeting, scheduling, organisation and experience in managing large and small budget productions. After the screening and Q&A there will be an opportunity to network and meet other MKFN members. We will have an open forum where people can introduce themselves and ask the group for collaborations - directors seeking writers/actors seeking films. So if you have a project you want making or are seeking a project to get involved with, please bring along your requests/info for cast and crew or use the platform to advertise your skills and projects. We will be holding this event in the MK Gallery in the Theatre District, see the map below. Tickets for this fantastic event are £5/£3 concessions.